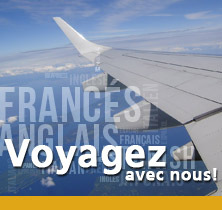 FRENCH FACTORY Bordeaux Language School is equally a Language training centre for companies. FFBordeaux is specialised in teaching foreign language in Bordeaux and its region and offers perfect training in small groups (4-8 persons) or single lessons in the company or in FFBordeaux. Our team of teachers consists of qualified native speakers and our lessons are esteemed from experts from all areas. All salaried employees in the private sector, who are already employed for more than one year in their company, have a claim on DIF (individual claim for further education) for a period of 20 hours (Code du travail, articles: L6323-1 – L6323-21). The DIF can be conveyed for a 6 years time maximum. On expiry of this period of time there is a claim on 120 h along with costs for the education. The employees have to be informed about their individual saved hours yearly. Would you like to improve your language skills? Contact your personnel department or a responsible person for further education in your company. Inform yourself about how many DIF-hours you have for your language training. 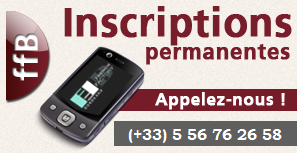 Write down the contact details of your personnel department and transfer them to FRENCH FACTORY Bordeaux. We are going to meet you to take a test (and interview) to analyse your language skills and to offer you an equivalent course (duration, number of hours, etc). We will send a cost estimate and the program of the course to your company. The participant works in a group of 4 – 8 persons or in private tuition. The teachers are qualified and experienced native speakers (French, English, Polish, Japanese, German, Italian and others). The courses are adapted to each language level. The training counts between 4 and 25 hours per week (1 lesson = 60 min) and takes place at FFBordeaux or in your company. To optimize your progress we offer a free competence balance and a professional support during the whole training. 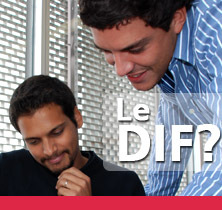 Courses within the bounds of DIF are possible in all language levels (beginner A1 to advanced C2). The program varies depending on language skills of the participant and his wishes. The length of course depends on the hours for this formation (between 10h and 120h).